Wondering what makes people call this place as 'Garam Sadak'? 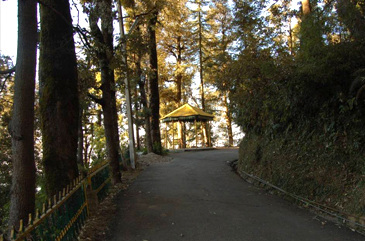 Well, Garam Sadak is one of the most pleasant areas in Dalhousie, which gets hot during daytime as it receives direct sunlight. 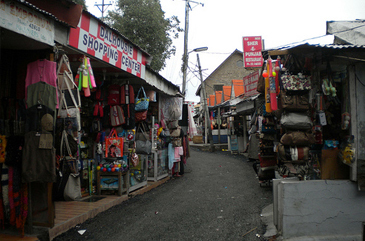 This road is quite popular among the locals and tourists, who walk down the street to gaze at the beauty of Dalhousie. 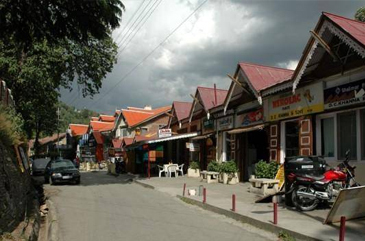 The Garam Sadak has a pleasant and warm temperature that gives a perfect atmosphere to the tourists to walk down the road. It is bordered by beautiful trees and looks absolutely stunning during night. This road is only meant for pedestrians and not for vehicles. The best time to visit this picturesque spot is in winter.